Bring everyone's attention to hazardous conditions and guide them to safety. Custom ANSI Caution Label is easy to create. 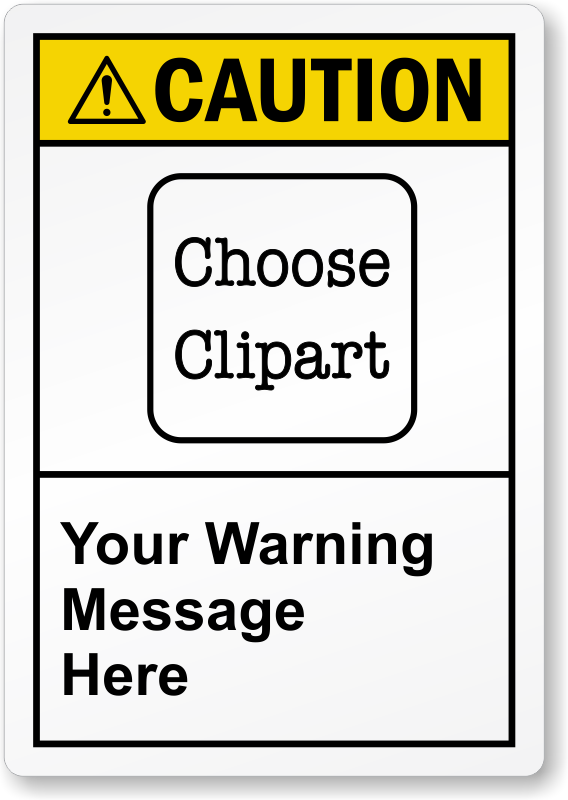 Just add your warning message and choose a clipart. Graphic makes your message easily understood, even if someone doesn't understand English.